Below is a list of brokerages who participate in SpinSheet's broker section. They know boats, and they know Chesapeake Bay boating. Click on the brokerage name to check out their website, or give them a call today. Tell them SpinSheet sent you, and they’ll take great care of you. 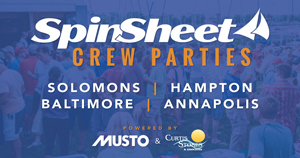 Annapolis Yacht Sales Building lasting relationships while serving the recreational and travel boating community. Bay Harbor Brokerage Established in 1979 by Ron McLean, it has been in the same location for over 35 years with Ron serving as the principal broker. The two things that Bay Harbor Brokerage offers its customers are extensive sailboat knowledge and personal service. Chesapeake Bay Maritime Museum 100% of the boat sale proceeds go toward supporting the children and adults served by an education, curatorial and boat building programs here at the museum. When you purchase a boat from the CBMM, you are helping to assure the sustainability of the Chesapeake Bay Maritime Museum for future generations. Crusader Yacht Sales A full service brokerage, CYS has been setting the GOLD STANDARD in the yachting industry for over 30 years. Lippincott Marine A dealer for Marlow Pilot series of downeast express boats and specializing in the sale and brokerage of fine trawlers, downeast, sportfish and motor yachts and sailboats. Martin Bird & Associates Professional, knowledgeable, full-time yacht brokers with “hands-on” experience you can depend upon. Norton Yachts Anchored in tradition, integrity and experience, Norton Yacht Sales ensures that customers will have a great boating experience before, during, and after buying. 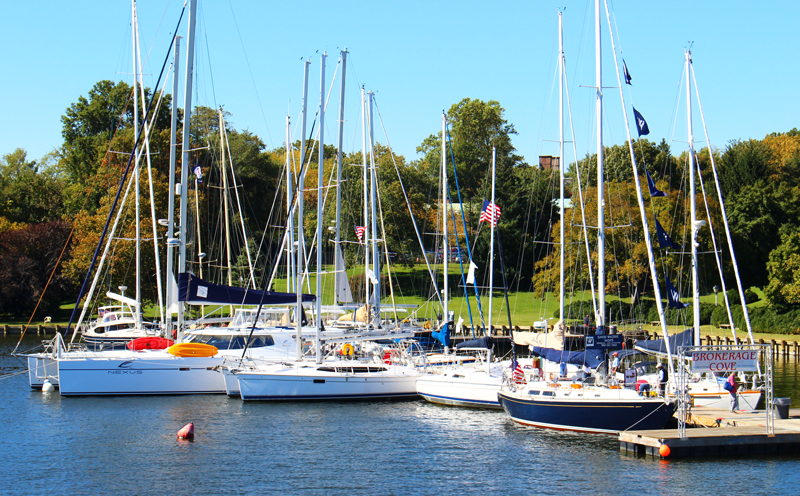 Regent Point Marina Nestled on the peaceful Rappahannock River and one of the finest marinas on the Chesapeake, you’ll find a wide selection of brokerage boats for sale and an experienced sales team to help you find the right one. RogueWave Yacht Sales A unique brokerage and consulting firm specializing in vessels of quality, style and substance which we will match with the requirements of each individual. Sailing is not a hobby for us, it’s a lifestyle! S & J Yachts One of the largest full service brokerages in the mid-Atlantic with 4 offices strategically located from the Chesapeake Bay to Charleston, SC, we are staffed with highly experienced yacht brokers who are professionals who really know all aspects of this business and share the passion to serve our clients. Salt Yacht Brokerage Specializing in just brokerage allows us the necessary time to properly put buyers and sellers together. Whether buying or selling, stop by and see what we can do for you. We have the devotion, passion and know-how to provide the highest level of satisfaction to our clients. Tidewater Marina A family boatyard serving Maryland boaters for over fifty years. We offer a full service marina, repair yard, and a marine supply store in Havre de Grace, MD. In addition to used and brokerage boats, we have just been named as the exclusive mid-Atlantic dealer for Blue Jacket Yachts. Yacht View Brokerage I began my brokerage business here in Annapolis in 1988 and strive to use every tool to enhance the marketing and sales time of every one of my personal listings. I apply myself to the strictest standards of excellence and work for my clients satisfaction. I can also arrange for a USCG licensed Captain delivery of your yacht to Annapolis to be sold, or for your new purchase delivered to your destination after the sale!